Market indicators in the third quarter continued to slow as consumers weigh climbing mortgage rates, the impact of changing tax laws, and confusion about the direction of the U.S. economy. 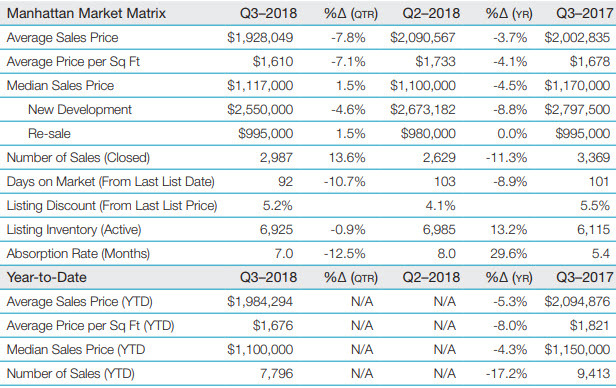 Overall, both the number of sales and the average sales price declined, yet numbers were up from Q2 and the resales market remains strong, with the median sales price tying the record set a year ago. The resales market remained steady, with lower sales than last year but many strong indicators.